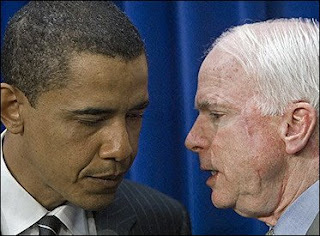 MCCAIN’S CAMP CLAIMS OBAMA IS PLAYING THE RACE CARD! 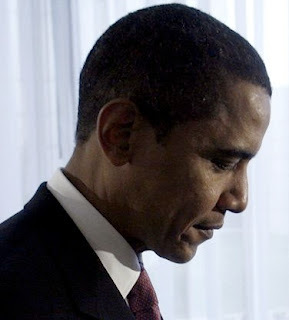 Posted in Uncategorized | Comments Off on MCCAIN’S CAMP CLAIMS OBAMA IS PLAYING THE RACE CARD! John McCain’s campaign manager is accusing Barack Obama of unfairly using the issue of race, a significant accusation in a campaign featuring the first African-American major party nominee. Yesterday in Missouri, Obama predicted McCain and the GOP would use racially tinged attacks against him. An Obama spokesman denied that the line about “dollar bills” was related to the Democrat’s race. McCain’s campaign has stepped up their attacks Obama since his overseas trip and began airing an ad yesterday comparing the Illinois senator to a vacuous pop star. But for months, both McCain and his campaign have been careful to avoid anything that approaches an assault based on race. McCain has rebuked outside parties, including the North Carolina GOP and an Ohio talk show host, whose attacks cited Obama’s controversial pastor and his middle name. Now with the contest entering a new, more negative phase — one largely brought on by McCain — the Republican campaign is clearly seeking to preemptively rebut any attempt by Obama to attribute race to their attacks. Davis, in effect, is laying down a marker. But by flatly accusing Obama of having “played the race card,” Davis ensures that the issue, already looming over the historic campaign, will now take a front-and-center position in a contest that is increasingly being fought more over character than issues. EXXON SETS ANOTHER RECORD WITH ITS PROFITS! 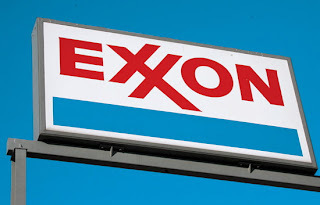 Posted in Uncategorized | Comments Off on EXXON SETS ANOTHER RECORD WITH ITS PROFITS! DID YOU EARN ANY RECORD PROFITS IN ANY FORM THIS QUARTER? Exxon Mobil Corp. reported second-quarter earnings of $11.68 billion Thursday, the biggest profit from operations ever by any U.S. corporation, but the results were well short of Wall Street expectations and its shares fell. The world’s largest publicly traded oil company said net income for the April-June period came to $2.22 a share, up from $10.26 billion, or $1.83 a share, a year ago. Excluding an after-tax charge of $290 million related to an Exxon Valdez court settlement, earnings amounted to $11.97 billion, or $2.27 per share. Analysts on average expected Exxon Mobil to earn $2.52 a share on revenue of $144 billion, according to a survey by Thomson Financial. The estimates typically exclude one-time items. LUDA’S LYRICS CAUSING PROBLEMS FOR OBAMA! 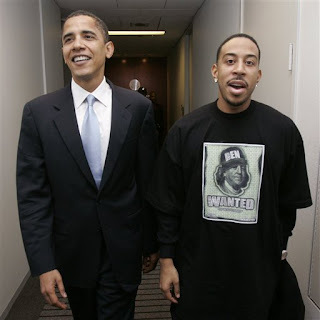 Posted in Uncategorized | Comments Off on LUDA’S LYRICS CAUSING PROBLEMS FOR OBAMA! SHOULD THE PRESIDENTIAL CANDIDATE HAVE TO ANSWER FOR THE RAPPER’S MUSIC? BARACK OBAMA IN HOUSTON TODAY FOR A QUICKIE! Posted in Uncategorized | Comments Off on BARACK OBAMA IN HOUSTON TODAY FOR A QUICKIE! ARE YOU GOING TO ANY OF THE PRIVATE EVENTS? Presidential candidate Barack Obama will make a swing through Houston today. He’s here for two private fundraisers according to The Insite sources. One will be at a home in River Oaks while the other is scheduled for Memorial. The price tag I hear is around $2300 to get in. I’m told Obama’s time is very limited and he will be in town for only about 5 hours. That’s the life of a Presidential candidate. Drop in, collect the money, and get to moving. Are you going to any of the big events? 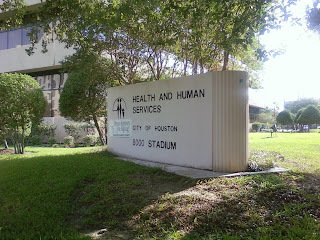 CITY OF HOUSTON PUMPING $500,000 INTO A PROGRAM TO HELP EX-OFFENDERS! Posted in Uncategorized | Comments Off on CITY OF HOUSTON PUMPING $500,000 INTO A PROGRAM TO HELP EX-OFFENDERS! DO YOU THINK THIS RE-ENTRY PROGRAM WILL MAKE A DIFFERENCE IN OUR CITY? 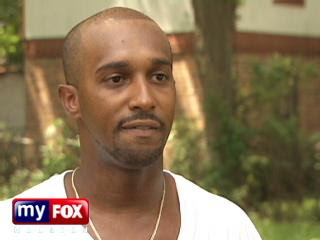 Eric Baylor is adjusting to life as a free man. In March, he was released from prison, but he says because of his felony record he can’t find a job. “Even though we’ve made mistakes, we paid our debt to society, and we’re just looking for a chance to be reintegrated back into society,” Baylor said. But the city of Houston is hoping to change the hopelessness of the recently released with a new program designed to reintegrate offenders. The city’s health department will begin the re-entry effort next week at the Northeast Multi-service Center. It’s operating off a half-million dollars in funding from Mayor Bill White’s office. City officials say it will provide jobs, housing and health counseling to those who are just released from prison. “What we found is that the same thing that people are re-entering from prison or jail need is real similar to what the other people in the community need,”Sheila Savannah said. Savannah, a bureau chief at the health department, says all people need is a a job and home. Without that, city officials say the 16,000 inmates released into Houston annually could land back behind bars. Texas has a 35 percent recidivism rate! MANAGEMENT AT MOODY GARDENS FINALLY COMES CLEAN! Posted in Uncategorized | Comments Off on MANAGEMENT AT MOODY GARDENS FINALLY COMES CLEAN! A VENOMOUS AFRICAN BUSH SNAKE ‘WAS’ ON THE RUN! Managers at the Moody Gardens Rainforest acknowledged Wednesday that a venomous snake escaped from its tank near the facility’s public entrance when its whereabouts could not be accounted for earlier this month. But managers never evacuated the rainforest or closed that portion of the facility to the public because they said they had no reason to think the snake had slithered outside its enclosure — even though they could not find the animal for nearly two days. 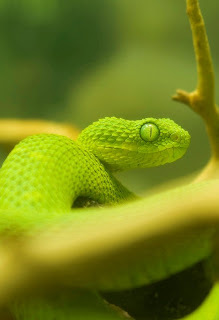 The 10-inch African bush viper was later found lying on top of the tank. It settled on a metal screen in the ceiling beside a grated light fixture above its enclosure, managers said Wednesday. They say they still have no idea how the snake got out of the enclosure and up into the ceiling. The revelation contradicted Moody Gardens’ previous explanations for the incident. Spokeswoman Jerri Hamachek told the Houston Chronicle three weeks ago that the snake never ventured outside its “exhibit” and never posed any danger to the public, but said nothing about the snake going up into the ceiling. “Snakes camouflage, and that’s what he was doing,” Hamachek told the newspaper on July 9. The Chronicle confronted managers and Hamachek after receiving a tip that the initial explanation was incorrect. Hamachek said Wednesday that she was unaware at the time of the interview that the snake was found outside its enclosure in an area with no foliage where it could not camouflage itself. She said she just wanted to assure the public the snake had been recaptured. SNOOP DOGG ROCKS HOUSTON WEDNESDAY NIGHT! Posted in Uncategorized | Comments Off on SNOOP DOGG ROCKS HOUSTON WEDNESDAY NIGHT! IT WAS THE BIG EVENT AT THE SHOWGROUND! The Insite made a stop by the Sam Houston Race Park Wednesday night to snap some photos of the Snoop Dogg concert. It was part of the Unity Tour. Thousands of people turned out for the big event which included 2 other musical acts but definitely Snoop stole the show. Those who were lucky enough to score VIP seats abandoned their chairs to jump into the crowd. They swayed to ‘Drop It Like It’s Hot’ and other hits by the rapper. The Insite spotted several familiar faces in the audience including birthday boy Kalele ‘Party King’ Thumbutu and Gina Rotolo who made the Insite’s coverage possible. Here are the photos I snapped at the track! THE SENATOR SAYS THE ONLY THING HE DID WRONG WAS NOT CALL THE POLICE! Posted in Uncategorized | Comments Off on THE SENATOR SAYS THE ONLY THING HE DID WRONG WAS NOT CALL THE POLICE! Sen. Derrick Shepherd said that he did only one thing wrong last Saturday: he failed to call police and report what he has described as threats against his mother and sister. 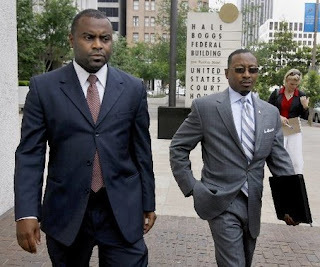 But Sen. Shepherd is accused of doing far worse: forcing entry into his ex-girlfriend Thaise Ashford’s home, punching her in the stomach, breaking a bedroom door and stealing her Blackberry and $100. When Jefferson Parish Sheriff’s deputies went to arrest him, they say they found him at a house in the Stonebridge subdivision with two women, one of whom was giving him a lap dance. Government lawyers argued Tuesday that Sen. Shepherd is the threat. They wanted U.S. Magistrate Louis Moore Jr. to revoke his bond and put him in jail while he awaits trial in October on charges that he helped convicted felon Gwendolyn Moyo launder more than $141,000 in fraudulent bond fees. The magistrate instead ordered home incarceration and an electronic monitoring device for Sen. Shepherd and ordered him not to have any contact with Ms. Ashford. He should follow those conditions scrupulously. In the meantime, Jefferson Parish authorities should continue to investigate what happened Saturday night. Ms. Ashford recanted her story at the federal bond revocation hearing Tuesday. She now says that she and Sen. Shepherd are still in a relationship and that he was in her home at her invitation. Her door was already broken, she said, and she and the accused had traded cell phones so they could check out each others’ calls. But the Jefferson Parish Sheriff’s Office says evidence — including scrapes on her wrist and stomach — back up her original complaint. They also have statements from her mother and sister who say Sen. Shepherd banged on their door at 4 a.m. and made a series of phone calls to the sister’s cell phone after leaving Ms. Ashford’s home. IS THE U-S ON THE VERGE OF HAVING A BAD CREDIT RATING? 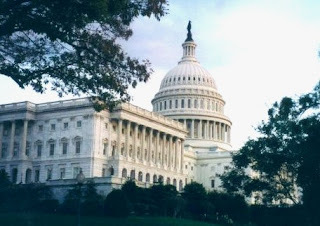 Posted in Uncategorized | Comments Off on IS THE U-S ON THE VERGE OF HAVING A BAD CREDIT RATING? THE GOVERNMENT ATTEMPTS TO CALM CONCERNS! The Bush administration said it was confident Wednesday that the United States would be able to maintain its top-notch credit rating even as the government scrambles to find new ways of expanding debt sales to cope with soaring budget deficits. plans for financing $171 billion in borrowing during the current July-September quarter, the second highest total on record. Those borrowing needs have exploded this year. The government has been coping with a sagging economy and the need to finance more than $90 billion in economic stimulus payments made over the past three months to people as it tries to stave off a deep recession. Those problems are occurring while global financial markets have been roiled by reports of multibillion-dollar losses by giant banks and investment houses, reflecting soaring losses on mortgage debt. IT’S TIME FOR TAX FREE SHOPPING IN TEXAS! Posted in Uncategorized | Comments Off on IT’S TIME FOR TAX FREE SHOPPING IN TEXAS! The 10th annual Texas sales tax holiday will be Aug. 15-17 as families prepare to send children back to school. Texas Comptroller Susan Combs on Wednesday announced most clothing and shoes priced less than $100, with some exceptions, can be purchased tax free that weekend. Combs estimates shoppers will save about $54 million. Some tax free items will include coats, diapers, hooded shirts and sweat shirts, jeans, suits and underclothes. Taxes must still be paid on wallets, watches, handbags, jewelry and roller blades and skates. THE APOLOGY TO AFRICAN AMERICANS HAS BEEN ISSUED! Posted in Uncategorized | Comments Off on THE APOLOGY TO AFRICAN AMERICANS HAS BEEN ISSUED! BUT THERE WON’T BE ANY REPARATIONS! challenger in a primary face-off next week. Congress has issued apologies before. There was one for Japanese-Americans for their internment during World War II and one for native Hawaiians for the overthrow of the Hawaiian kingdom in 1893. In 2005, the Senate apologized for failing to pass anti-lynching laws. Five states have issued apologies for slavery, but past proposals in Congress have stalled, partly over concerns that an apology would lead to demands for reparations. The Cohen resolution doesn’t mention reparations. Posted in Uncategorized | Comments Off on WAY TO GO MICHELLE, YOU’VE DONE HOUSTON PROUD!